There’s no All-Star moves online on any platform. Basically those moves are quite complicated and extremely difficult to network. We did a few of them too, and the latency we were seeing didn’t work very nicely. Rather than put something in that didn’t work to everyones expectations – we thought it better to disable them online for a better play experience. I’ll see what I can do on this. Traditionally it’s quite hard to release art that’s not been approved by SEGA Japan, as we need to make sure any ‘official’ release of art is consistent with the ‘expected’ looks of their characters. There already is on 360. We’re still tweaking with the engine, so you may well see further improvements when we launch the DLC. It’s pretty smooth now though for the final release, don’t expect a jump to 60fps though…! Also remember I do this in my free time, I don’t get paid for it, I don’t get thanked for it, and I do have to spend time with my family now and again! Anyway, on this topic. As with all decisions, don’t think we made this one lightly. The first point is that all the All-Star moves work differently, so we’d effectively have to code each one with specific network code. With all the differences in characters, that’s 23 different bits of code to write there. Then lets look at what we have to work with. Whilst most of you have super fast download speed, what you don’t realise if you don’t have superfast upload speed. Our target for game communications is 64 kilobits. Note bits not bytes. In that very small amount of data we have to send everyones current position, projected vector, all weapon fire as well as voice chat. Not everyone is on fiber optic broadband you know! So we’re already sending lots of data, and the ASM’s mean that we’d have to compress this down even further for extra weapon fire. Of course a lot of the All-Star moves also include increased speed, so in cases with high latency where we’ve already got to be sure we’re not jumping cars around all over the place, we then would have even more extremes of movement -which under high lag would result in false positives for ASM hits. I.e. you maybe nowhere near Super Sonic – but you get blatted off the track as someone has dropped packets and the dead reckoning *thinks* you might have been hit. Finally, when it comes to network games, you have to be sure that all the systems are deterministic. Basically that if you fire a weapon on one machine, it will fire the same way on another. If this isn’t the case you wind up with synchronisation issues, quite simply what you see on your screen, won’t be what other player see on theres. Not all the ASM are deteministic as they’re all different, the best example is length of use. Depending on where you are in the pack, they last for varying amounts of time. So if we’ve got any latency causing the positions to be out of sync – even for a millisecond – on one machine it may last for 4 seconds, on the other 10. That happens, and oh oh, we’re really out of sync. Cue everyone gets booted back to the lobby. So with much reluctance, we conceeded that rather than ship it with things that could go wrong down to latency, especially with cross continent play, it would be a better experience to ship it with the ASM disabled during on-line play. So that is why it’s not available, as we didn’t want to ruin the online experience with All-Star moves that didn’t work consistantly and fairly. I think when you understand this – the decision makes a lot more sense. Will we add it back in the future? I think it’s unlikely. In the future when everyone has an internet connection that runs at LAN speeds, it’ll be doable, but not for a few years. I’m hoping for Jak on the PS3 version. Yeah, so if you see someone using Ryo’s forklift, kick them out. He wasnt including that though as I said in the community blog people are kicking players using Ryo Forklift as they think they’re cheating. I’m with you Cephrien. I’d also like to see Vectorman and the Gunstars. And I know the chicken-monster didn’t work with the drift system, but why not just throw Gilius Thunderhead in a car? Ryo’s forklift is a special code character isn’t it? Oh whatever. I’m just glad I got online to patch my 360 copy. Framerate’s much… MUCH better now. And there’s gonna be further improvements? Sumo rocks. BTW, I’m having a BLAST with this game. 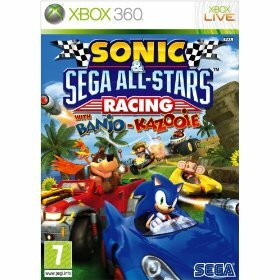 360 really needed some well-done kart racing game. Microsoft: Master chieft in the scorpion. There won’t be any exclusive characters on the PlayStation 3 version. Sony isn’t interested in lending their characters out to SEGA. End of debate. I’m hoping for Ristar, Vyse, Vectorman, NiGHTS, Shou Amabane from Burning Rangers, one of the riders from Panzar Dragoon, someone from Streets of Rage, and one of the Virtua Cops. If they add anyone else from Sonic games, I’m hoping for Blaze, Silver, or Team Chaotix more than anyone else. Don’t see how difficult it would be to have Gillius in a Chickenleg with tires. Also – moar trackz plz, woudn’t mind Earthworm Jim with a set of tracks to go with it. I think 6 Sonic characters is enough personally. <_< I would like to see Selvaria Bles though. Vectorman DLC would be nice. I definitely like to have NiGHTS,Bug,Vyse,Ristar,and some other characters as playable DLC. Also a Sakura Taisen/Sakura Wars character like Sakura Shinguji or Erica Fontaine. Looks like Rouge’s Spymobile might as well be the SAME Batillac we’ve seen in Sonic Adventure 2’s Route 280. Maybe Rouge’s All-Star Move would involve stealing everyone’s items, and using them against them! Capcom. 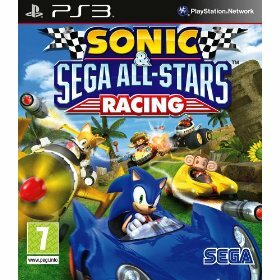 PLEASE team up with SEGA. I can’t live without a super fightin’ robot for the year 2010 in my ASR. All I can say is I want Gum from Jet Set Radio Future! And the Jet Set Radio Place Chuo Street! Gum was my favorite in tennis and i always use her in Jet Set Radio and me and a lot of people I know would use her in this game! Please add her!! But you can live without playing MegaMan Battle & Chase, or even MegaMan 10? Mega Man 10 isn’t out yet. I have reserved Wii Points for it. I wish they’d release MMB&C on PSN store. Anyway, this is Sonic Stadium so… my brother came up with another idea. He said they should release a patch where the flag post guy is Reala and NIGHTS is playable. IDK. I know it’s a Sonic Site, but if you ever get the MegaMan X Collection for PS2, you can UNLOCK MegaMan Battle & Chase. and maybe some tracks of these characters.